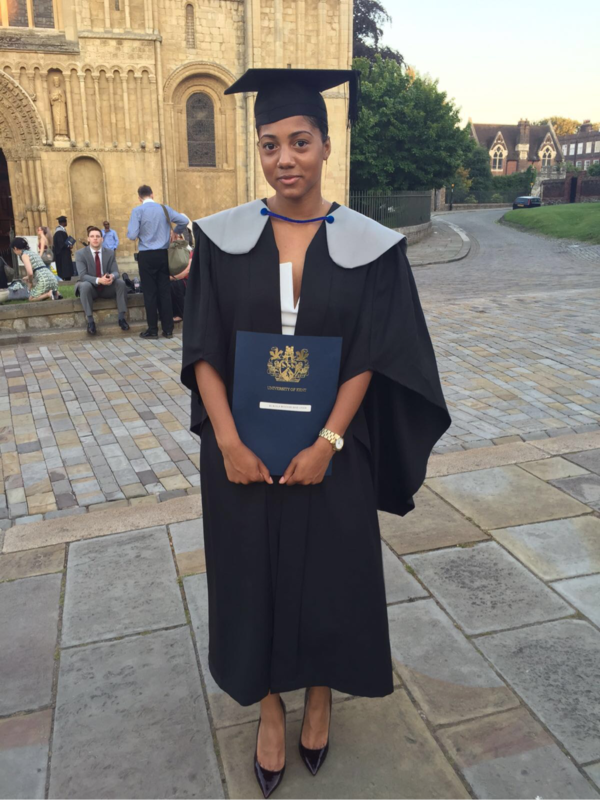 Bukola Woodburne-Dyer celebrated a momentous achievement recently as she graduated at the University of Kent, with a 2.1 degree in sports therapy. It was a pretty far cry from around 8 years ago when she entered the Met-Track scheme as a young person lacking focus, and in danger of ending up in the wrong crowd! Instead she can now look forward to a positive and exciting career. She already works with a leading semi-professional football club, and aspires to go right to the top. She stands as a shining example of how sport can focus a young mind into positive thinking about the future, and open up options they never dreamed they would have. The initial inspiration to follow this particular career path? Met-Track and her eventual referral into athletics as a participation sport, but also an education as to where her interests - and obvious talents - lay! Scheme Director, John Powell, commented: "I have taken great interest in Bukola's progress over the years, and spent some time actually coaching her as an athlete. She reached the South of England 200 metres championship semi-finals on one occasion as a 14-year-old, and it was clear then that, whether she continued in sport or not, she was turning into a very determined young lady. I'm delighted at her recent achievement - she deserves every congratulation."